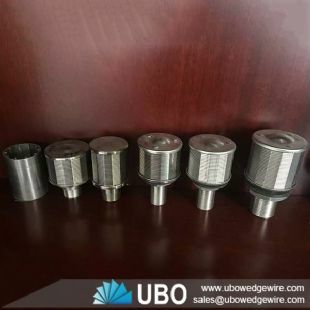 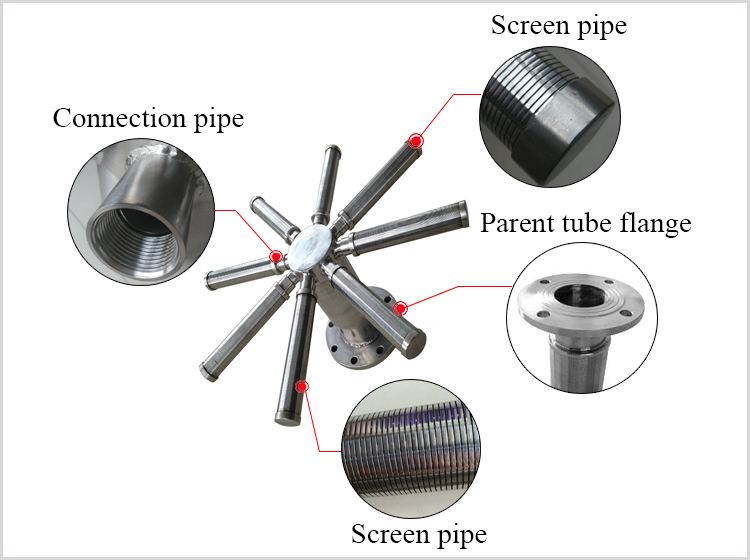 Water filter hub lateral as an efficient collector, the screen lateral is available in several sizes, with various slots and end fittings. 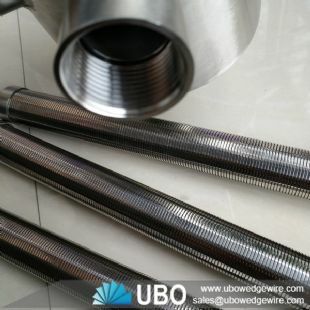 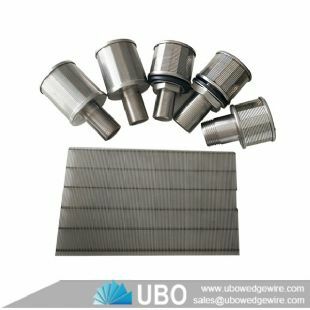 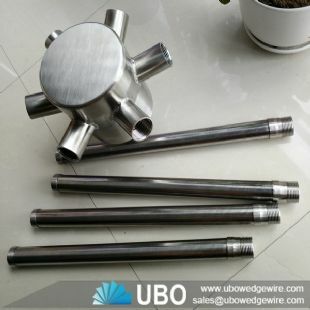 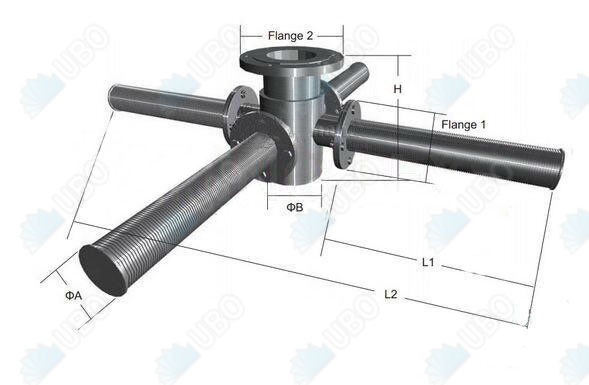 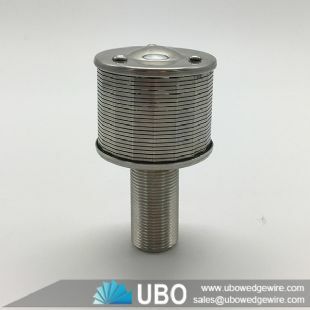 Most commonly, the screen lateral is provided with a solid cap on one end and a threaded pipe connection on the other end. 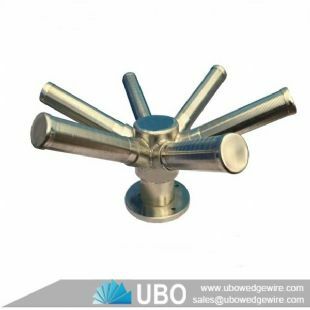 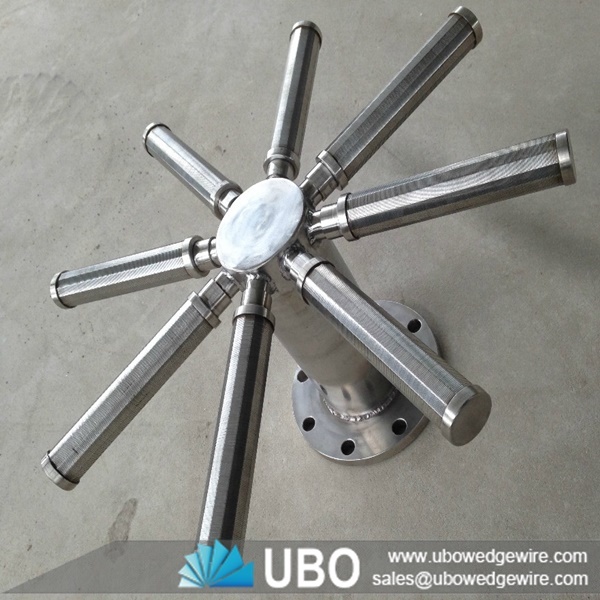 Water filter hub lateral can be designed for disc head vessels enabling the system to collect completely to the bottom of the vessel. 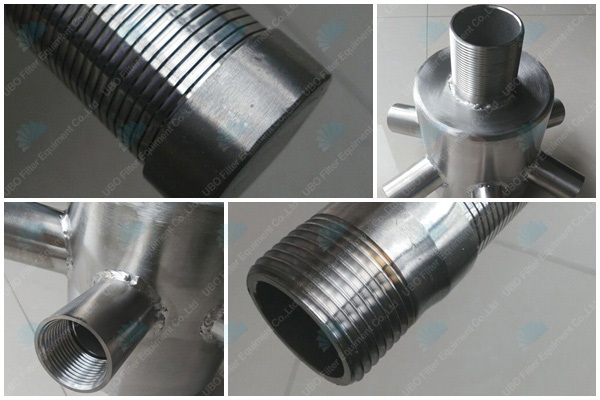 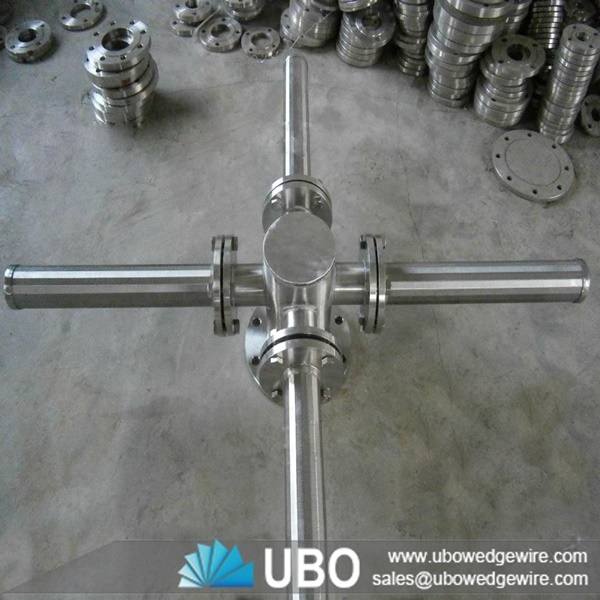 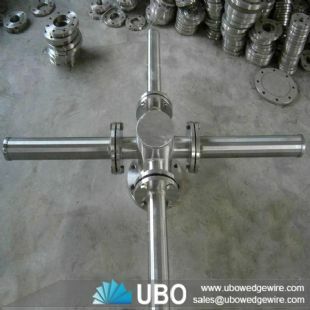 Header laterals design is also available for flat bottom vessel distributor or collector applications All systems are designed for effective liquid or solid retention in a wide range of applications including ion exchangers, clay and sand filtration applications, carbon towers and power plants with water systems.